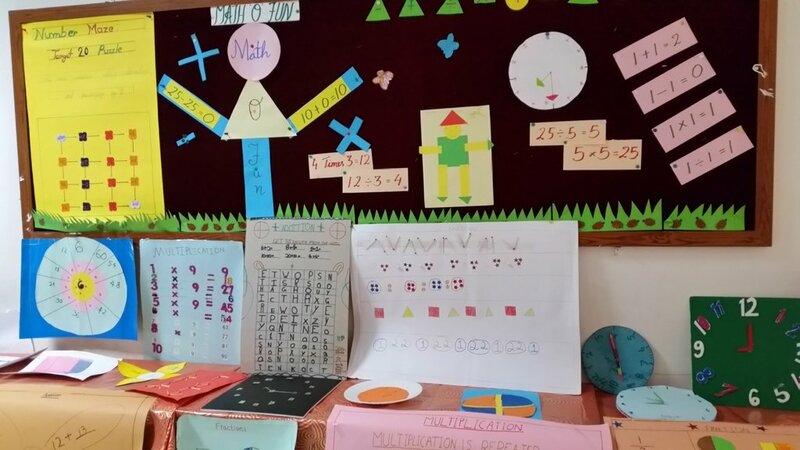 A week long Exhibition Math ‘O’ Fun was organized from 22nd December to 29th December 2014 based on innovative and active learning methodology. 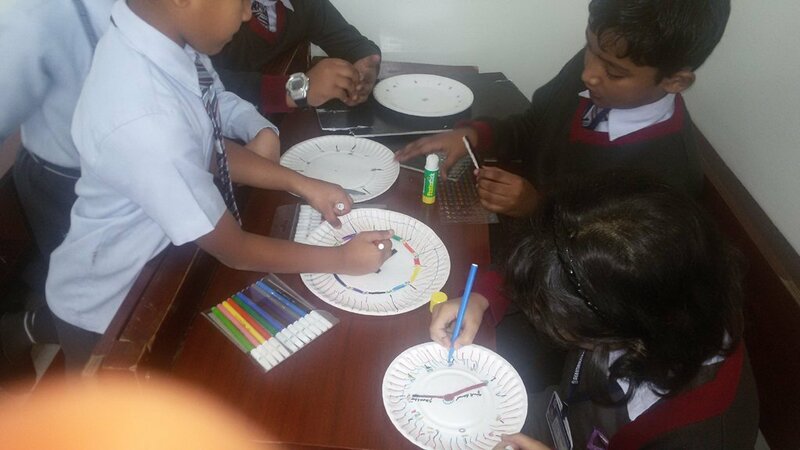 The main aim was to develop the mathematical skills in children by exploring the math around us by doing hands on activities using math manipulative. 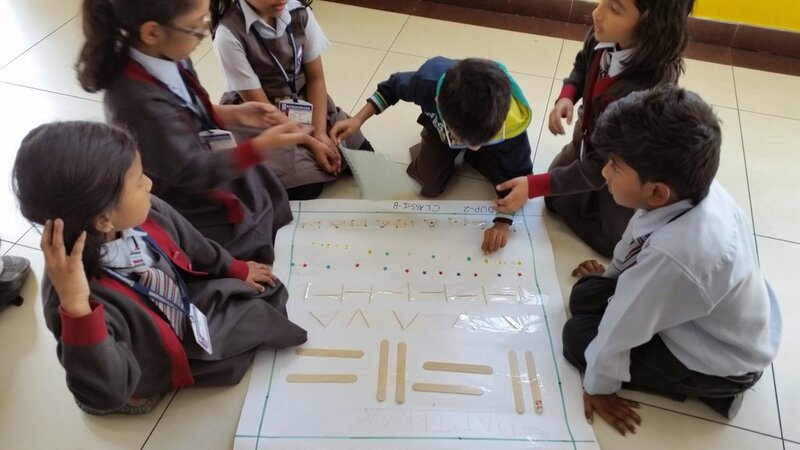 This endeavor was diligently planned with fun filled group activities to inspirit the students in their mathematical pursuit and add a touch of difference to their daily math practice sessions. 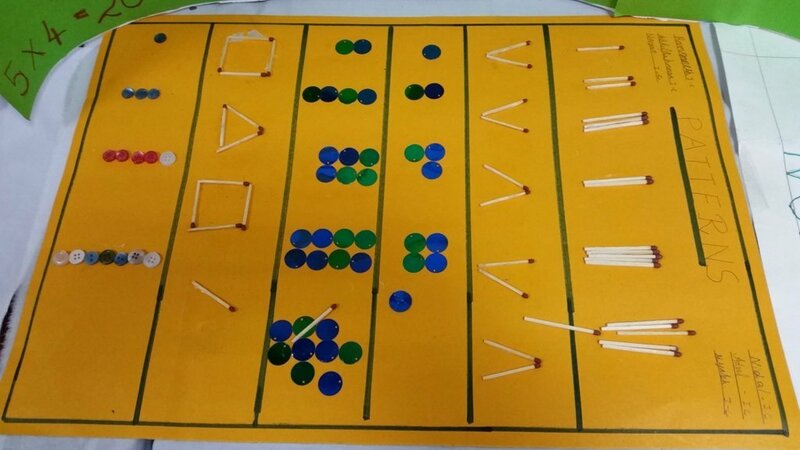 These intraclass activities helped the children outline the connections between mathematical skills, mathematical thinking and the mathematics of daily life. 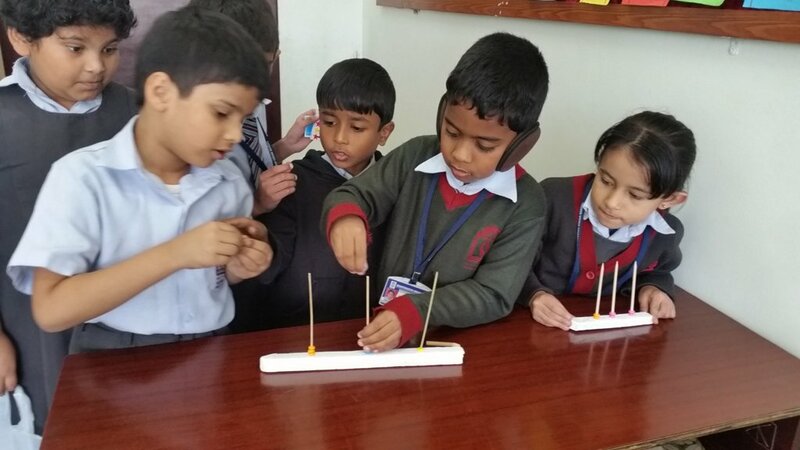 Each and every child got the opportunity to manipulate the objects themselves, thus they experienced the process physically, step by step. 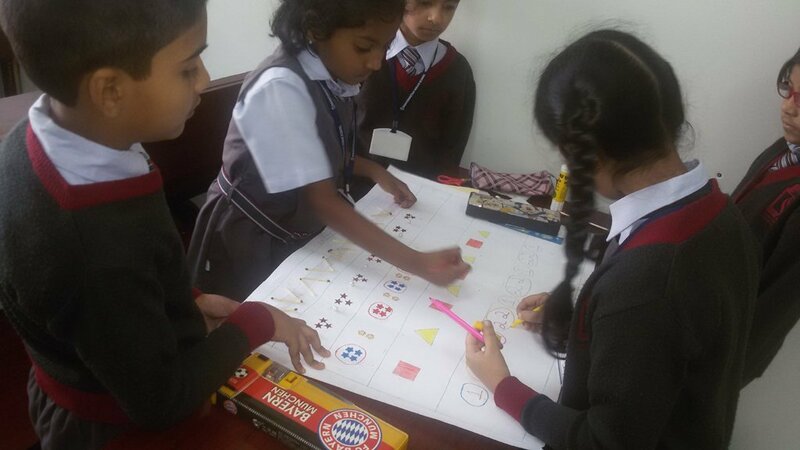 Students demonstrated excellent analytical and problem solving skills when they were assigned with group activities based on basic mathematical operations like addition, multiplication, geometrical patterns and shapes. 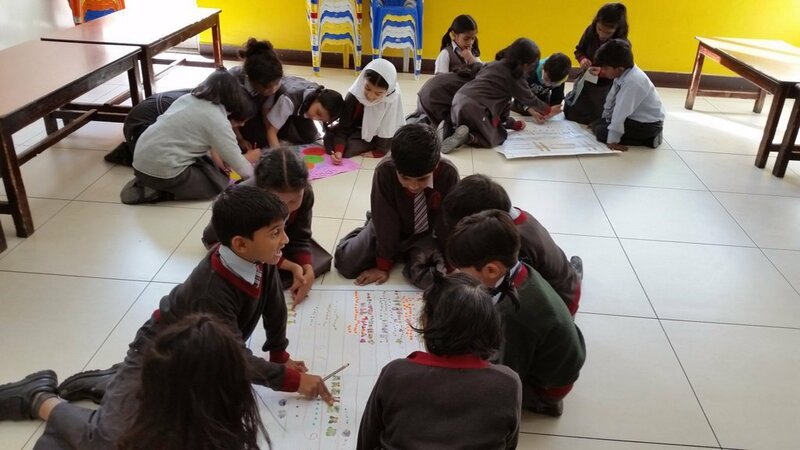 Effectively integrating a variety of tools and resources in order to promote self-directed learning, teachers ensured that students were curious and willing to try new things. Theme based task provided the students an opportunity to search for information and construct their own ideas and articulate the same ideas through written and visual expressions. 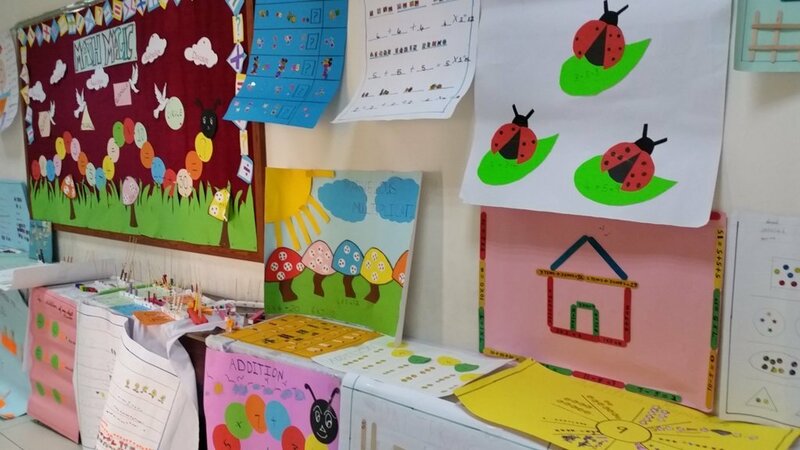 Thus, it helped the students to go beyond the text books and to develop a positive attitude towards group work, sharing and learning from each other. The topics were decided, planned and conducted by the students largely with the teacher acting as a guide. The activities planned provided students with opportunities to explore work with one’s hand, observe, collect data, analyze, organize and interpret data and draw generalizations. Headmistress Mrs. Mehjabeen Hasan and HOD (Math) Mr. Shamsudeen expressed words of appraisal for the collaborative efforts by the teachers in identifying and nurturing potentials in the youngsters. Thus, this endeavor was fruitful and ensured that the skills have been acquired by the child as well as a group of children…..ensuring that learning mathematics is meaningful to students.